FOUNDED IN 2014, HK BELLAWINGS JET (HK BELLAWINGS) IS AN IS-BAO II REGISTERED OPERATOR WHICH PROVIDES COMPREHENSIVE BUSINESS AVIATION SERVICES INCLUDING BUSINESS JET MANAGEMENT, AIRCRAFT MAINTENANCE, TRAVEL CONCIERGE SERVICE, AIRCRAFT ACQUISITION SERVICE, AND BUSINESS AVIATION CONSULTANCY. SINCE MANAGING THE FIRST BUSINESS JET IN 2015, THE FLEET HAS GROWN EXPONENTIALLY AND IS NOW REPRESENTED BY ALL THE MAJOR OEMS. YJ ZHANG, THE COMPANY’S PRESIDENT, SHARES THEIR MISSION WITH ASG, RECENT DEVELOPMENTS AND VISION OF EXPANDING BUSINESS IN ASIA. What principles does HK Bellawings adhere to? In 2014, I established HK Bellawings on the foundation of providing safe, trustworthy, high-quality services to our clients. With top operating standards and a superior management system, HK Bellawings has made its way into the global market as the second largest business aviation company in Hong Kong. we’ve begun to utilize more sales platforms to satisfy clients’ expectations on our products and marketing strategies ensuring that all platforms are innovative and user-friendly. These principles are what has led HK Bellawings to such success over the past five years. And for me, personally, these same values have led to being elected as one of “the Most Influential Figures 2019” in the innovation and development of the civil aviation industry. What are some of HK Bellawings achievements in 2018?? 2018 was a productive year for us. Our development and success resulted in the company being awarded Hurun Report’s International Business Jet Operator Star Performer two years in a row (2017 & 2018). We were also granted the HKAR-145 maintenance certification, which completes the blueprint for our maintenance business. This certification allows us to carry out aircraft maintenance as regulated by the Hong Kong Civil Aviation Department (HKCAD) in accordance with approved standards, as well as undertake third-party aircraft maintenance services within the scope of authorization. We understand the importance of flight safety and with an experienced maintenance engineering team we are committed to providing reliable aircraft maintenance services to ensure that our clients’ aircraft are kept in the best condition and that the aircraft's airworthiness is better preserved. Acquiring the permit is a big compliment to our maintenance capability. We will further strengthen the support services of the fleet and provide clients and business partners with more comprehensive and professional maintenance services. How would you define HK Bellawings’ management service? HK Bellawings combines “safety management” and “quality management” into our management system. The two are closely linked and complement each other, providing a high-level of safe operation. Safety and quality go together in the cabin, in the flight deck and in preparation for all flights. “Safety” is the main priority of HK Bellawings and this is reflected in the day-to-day operations, inspections and maintenance. All HK Bellawings employees are trained for all situations, including pilots, cabin attendants and maintenance personnel. In terms of flight operation, we try our best to eliminate delay and interruption. And, our financial management system ensures that each aircraft is operating efficiently at a reasonable cost. The “quality” of HK Bellawings’ work comes in many forms. This can be in preparation for each flight — understanding the client’s flight needs and dining preferences. Or, understanding how to make a flight more cost effective — through analysis of operational details. Tell me about the Bombardier Global jets ordered last year. In September 2018, HK Bellawings confirmed six Bombardier Global business jet orders and maintained the purchase rights of another 12. The Global 6500 and 7500 are in line with our demand for long-range aircraft and these two models are unparalleled business jets. According to the price in 2018, the total value order is listed at US$1.14 billion. This was all done to expand the company's business and is in line with HK Bellawings goal to become Asia's top business aircraft operator. What does HK Bellawings envision for the future of the company? The aircraft management business is the focus of HK Bellawings. HK Bellawings provides customized management services and a variety of value-added services based on the actual needs of clients. We are currently a business jet management company certified with IS-BAO, and regularly receive comprehensive audits from major banks and auditors to ensure that the company's operating standards and management procedures reach the world's standards. Now and in the future, HK Bellawings is and will continue to be committed to creating a more modern and convenient flight experience for our clients. The team has been seeking breakthroughs while maintaining the best and most efficient service. We will further expand to aviation-related business, such as chartering. 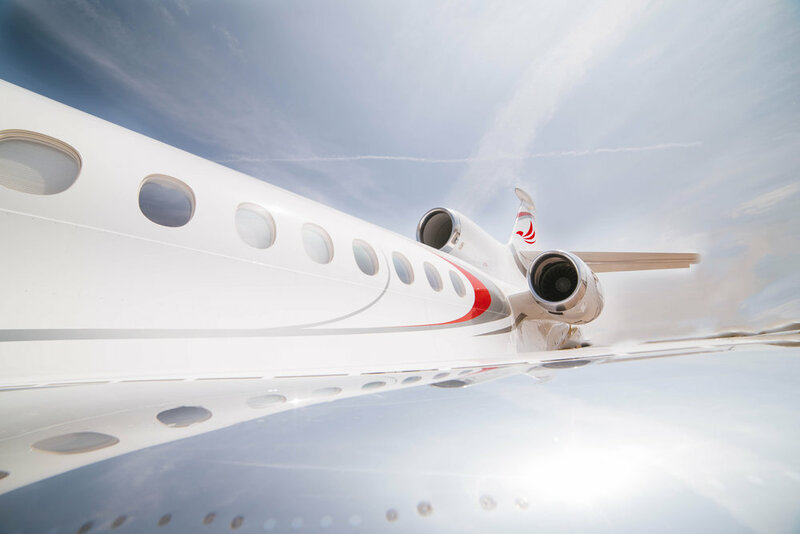 And we are confident that we will become the top business jet operator in Asia in the short term.